Psalter Farm is set on the edge of the Lincolnshire Wolds, an Area of Outstanding Natural Beauty, in a rural location, just over a mile from the local pub at Skendleby Psalter. Psalter Farmhouse (ref UKC1470 [Psalter Farmhouse]) offers good sized detached accommodation for families or groups, whilst Psalter Barn (ref UKC1471 [Psalter Barn]) and The Piggery (UKC2240) are semi-detached, and each has an enclosed garden, ideal for couples or families. Each property also have the added bonus of a private hot tub, ideal to retire to after a long day exploring the area. The coastal resort of Skegness is just 10 miles away, with its sandy beaches and traditional amusements. For those wishing to explore the area, there are great walks and cycle routes straight from the door, as well as many good country pubs for refreshments along the way. Local market towns include Alford, Spilsby, Louth and Horncastle, famous for its many antique and collectable shops, are also only a short drive. The Battle of Britain Memorial Flight and Visitor Centre is based at Coningsby, only a 20-minute drive away, or visit East Kirkby Airfield, with its Lancaster Bomber, just 15-minute drive away and a must for WWII enthusiasts. Lincoln, famous for its cathedral, castle and Magna Carta Visitor Centre is only 40 minutes’ away. Beach 10 miles. Shop 1½ miles, pub and restaurant 1¼ miles. These properties can be booked together to accommodate up to 20 guests. Living room: With 42 Freeview TV, DVD player and CD player. Bedroom 1: With zip and link twin beds (can be super king-size on request), Freeview TV and en-suite wet room with shower and toilet. Small enclosed courtyard with sitting-out area, garden furniture and barbecue. Hot tub for 6 (private). 2 small dogs welcome. Bike store. Private parking for 3 cars. Please note: There is an unfenced pond in the garden, 25 yards away. Biomass central heating, electricity, bed linen, towels and Wi-Fi included. Travel cot and highchair. Welcome pack. No smoking. Holidays at The Piggery, Psalter Farm run from Friday to Friday. Pets allowed at Psalter Farm - The Piggery. For a better idea of where Psalter Farm - The Piggery is, you can see Psalter Farm - The Piggery on the map below. 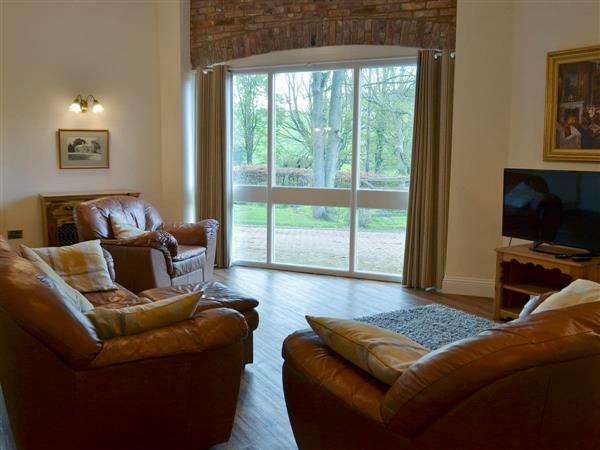 Psalter Farm - The Piggery is in Lincolnshire; should you be on the lookout for a special offer, you can find all the special offers in Lincolnshire. It's always worth checking to see what is on offer at the moment. Do you want to holiday near Psalter Farm - The Piggery (UKC2240), you can see other cottages within 25 miles of Psalter Farm - The Piggery; have a look to find your perfect holiday location.